You can purchase alcohol at five locations on Fraser Island. Eurong, Happy Valley, Cathedrals on Fraser, Orchid Beach Trading Post and Kingfisher Resort all have places where you can purchase your favourite drinks to enjoy in the evenings after a long day of exploring! This convenience is ideal if you have forgotten to stock up or have run out of alcohol during your trip! Alcohol is more expensive on Fraser Island than on the mainland due to accessibility. The more remote you get, the more alcohol is going to cost you! So don't be surprised if the price tag is a little different than what you're used to. The best variety of alcohol is found at Eurong (eastern side) or Kingfisher (western side). Prices vary per location. Eurong: You will find the bottle shop in the general store, easily found by the main entrance to the resort. Happy Valley: Find a variety of beer, spirits and wines in the general store. You can also buy supplies here such as groceries and snacks. Cathedrals on Fraser: The campsite provides a bottle shop, general store and other camp necessities. Orchid Beach Trading Post: Orchid Beach only has one store that has supplies including groceries and alcohol. 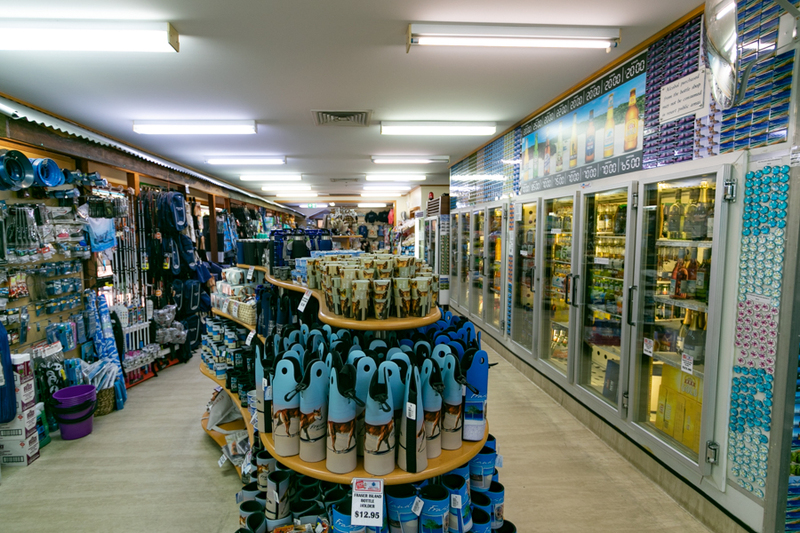 It is the most northern store on the island. Kingfisher Resort: The large resort is the only place on the western side of the island where you can purchase alcohol. You can do this at a bottle shop or one of it's bars if you just want a drink, or two! Variety is limited and stock is not guaranteed on Fraser Island. All locations also offer fuel and groceries, meaning it's a one stop shop if you need anything during your time on this beautiful sand island!